In March 2012, folk-inspired, multi-award winning singer-songwriter Seth Lakeman played with the renowned BBC Concert Orchestra at Plymouth Pavilions in Devon. Seth is releasing a five track LIVE EP on 03 December featuring recordings from that night mixed by Richard Evans. 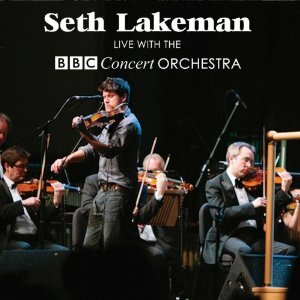 The live EP features versions of some of Seth’s best known songs, arranged by Anne Dudley and conducted by Matthew Coorey. It features Blacksmith’s Prayer from his current album Tales from the Barrel House, Kitty Jay the title track from his 2005 Mercury nominated album, Lady of the Sea and King & Country from his gold-selling album Freedom Fields and Changes from Hearts & Minds. Seth embarks on a high-profile tour of the UK in October with his band including musicians Sean Lakeman, Ben Nicholls, Cormac Byrne and guest musician Lisbee Stainton. The tour includes a sold out show at London’s Cadogan Hall on Saturday 13 October. Recording one of the tracks for his new album down a disused West Country copper mine, singer and virtuoso fiddler, Seth Lakeman, could not have dug deeper into his roots for his 6th album. Not only did he write everything on Tales from the Barrel House, but Seth also played all the instruments and produced and mixed it too. The album, which explores the history and experience of West Country artisans, marks a return to the more pared down sounds reminiscent of ‘Kitty Jay’, (the self-released, Mercury Prize nominated album which first shot him into the public eye). In keeping with this independent spirit, ‘Tales from the Barrel House’ was initially released as a limited run in November 2011 and was made available to fans exclusively via Seth's own website www.sethlakeman.co.uk. However, on the first day of sale, the album proved so popular that the website crashed and by Christmas, the cd had completely sold out. Many fans ended up missing out on the original release and so to meet demand ‘Tales from the Barrel House’ was given a national release on 02 April 2012.